Since today is April Fool’s Day, I felt this post from MamamiaRita was particularly appropriate… Enjoy! We have all been caught in a situation where the initial lie is small but becomes compounded and more complex as you sink deeper. It would have been much easier to just speak the truth, take the backlash, then move on with your life. 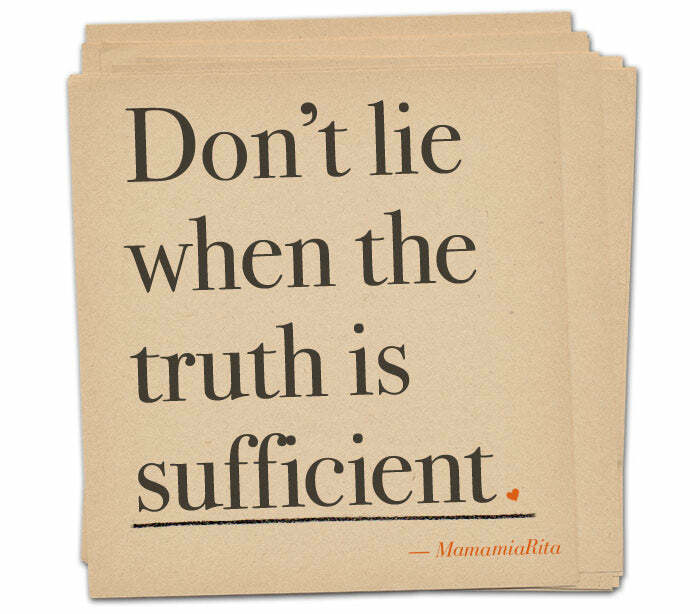 Now, sometimes the truth is NOT sufficient. It is all in your choice of words. Truth & tact here go hand in hand.